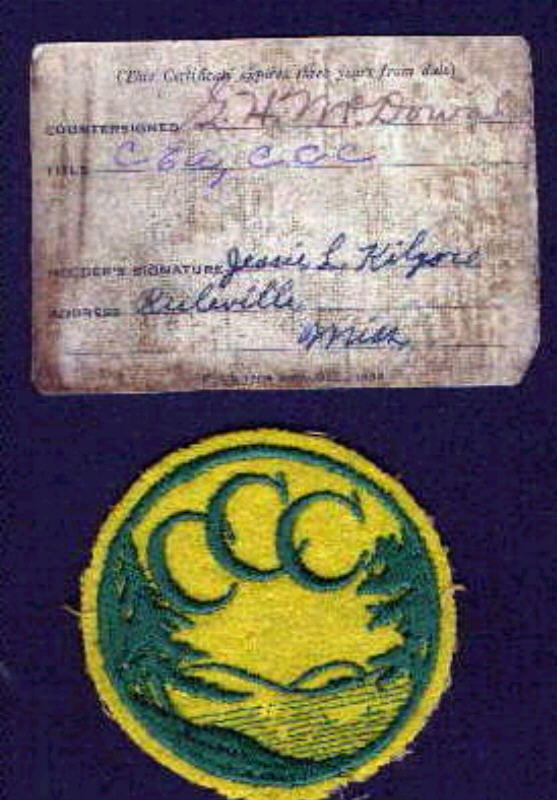 My brother was a member of the Civilian Conservation Corps. My mother passed on these articles to me. 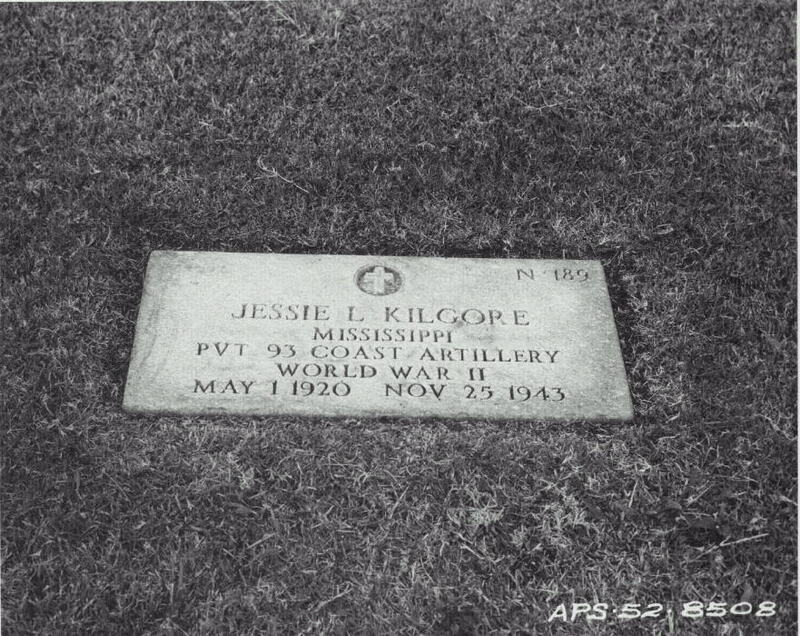 Jessie Lee Kilgore was born in Coffeeville, Mississippi. 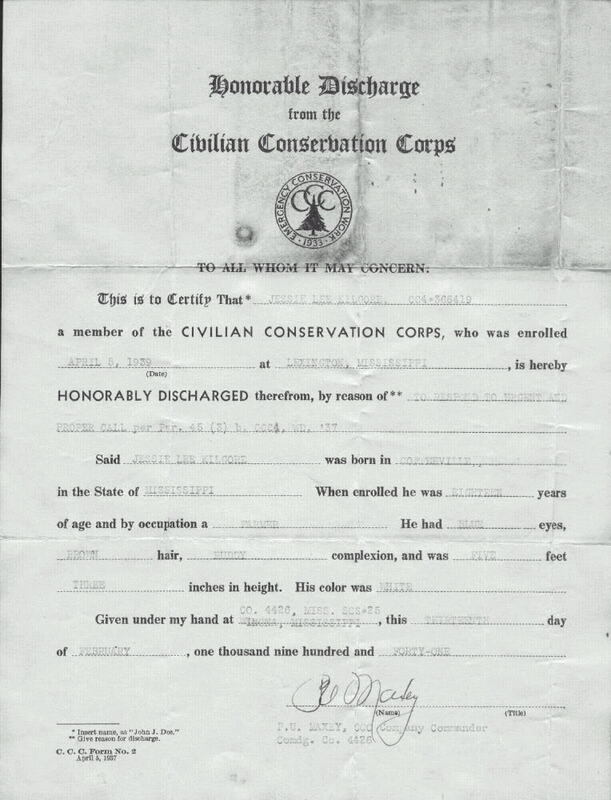 He entered the CCC on April 5, 1939 and was discharged on February 13, 1941. He was stationed in Lexington, Mississippi, I believe they worked mostly on the highways and roads of North Mississippi, planting trees and plants to prevent erosion. 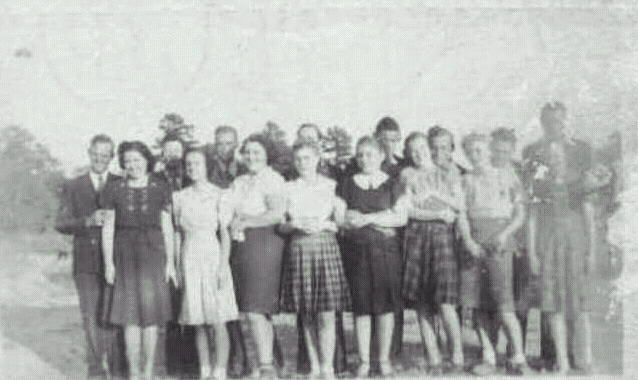 On June 3, 1940 the Company moved to a new Camp at Winona, Mississippi to do the same work. 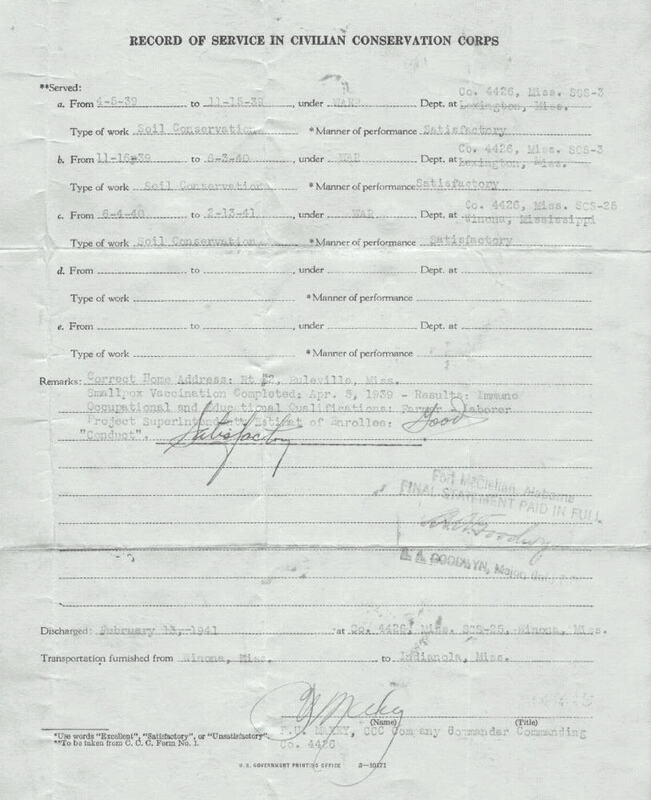 His Company Commander at the time of discharge was P. U. or F. U. Maxey. 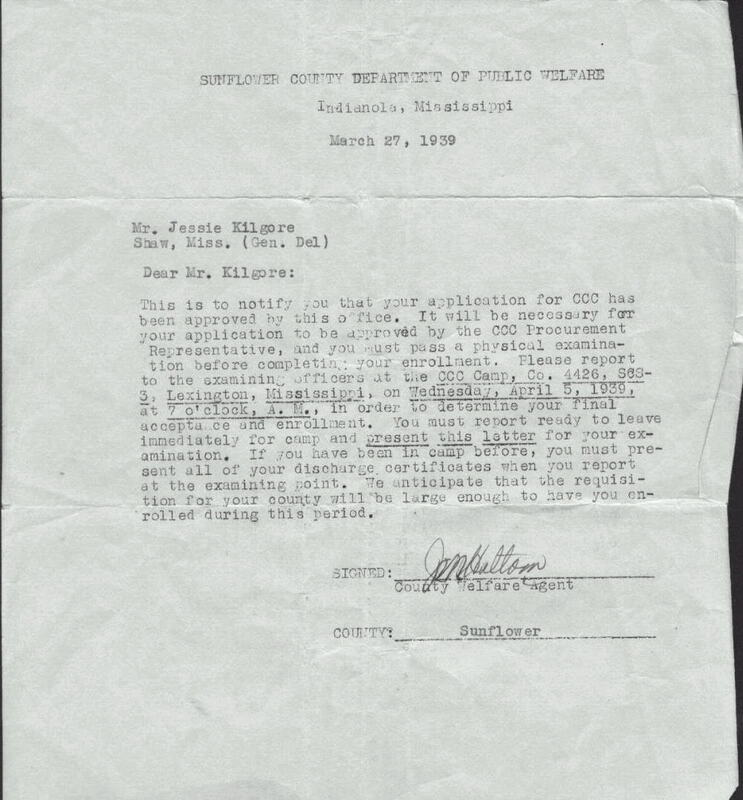 Upon his discharge he was given transportation to Indianola, Mississippi. Jessie was called to active duty by the U.S. Army - Coast Artillery Division - in August 1942. Jessie received his basic training at Camp Shelby, Mississippi. Jessie served in the South Pacific and was wounded in late November, 1943 and died a few days later on November 25, 1943. He was buried on Makin Island, which I believe is part of the Marshall Islands in the Pacific. His remains were transferred after the war to the National Memorial Cemetery of the Pacific in Honolulu. Jessie was loved & missed by his mother, three brothers, two sisters, a fiancée, and many friends and relatives. The group picture includes some of the boys that were in Jesse's section at Lexington. 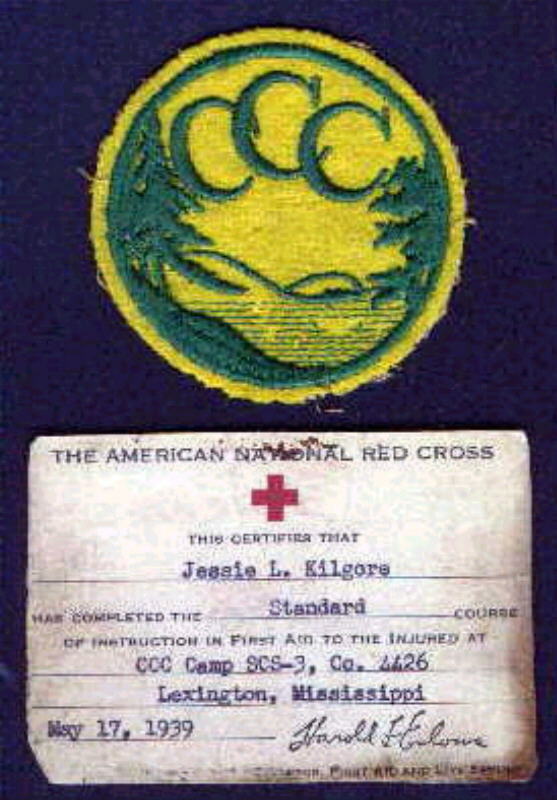 Jessie was proud of his service with the CCC.